Sacramento's Chinatown Mall is located between Third and Fifth Streets, J and I Streets. 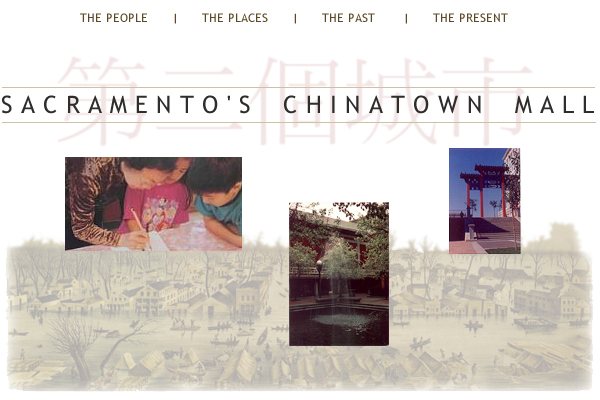 The Chinatown Mall is adjacent to the Downtown Mall, Old Sacramento, and the Sacramento Railyard. During the Gold Rush, this area was largely populated with Chinese immigrants. Today, association halls and a Chinese language school help keep Chinese culture alive.